It was like the pink wave hit fashion week, with so many women showing collections. 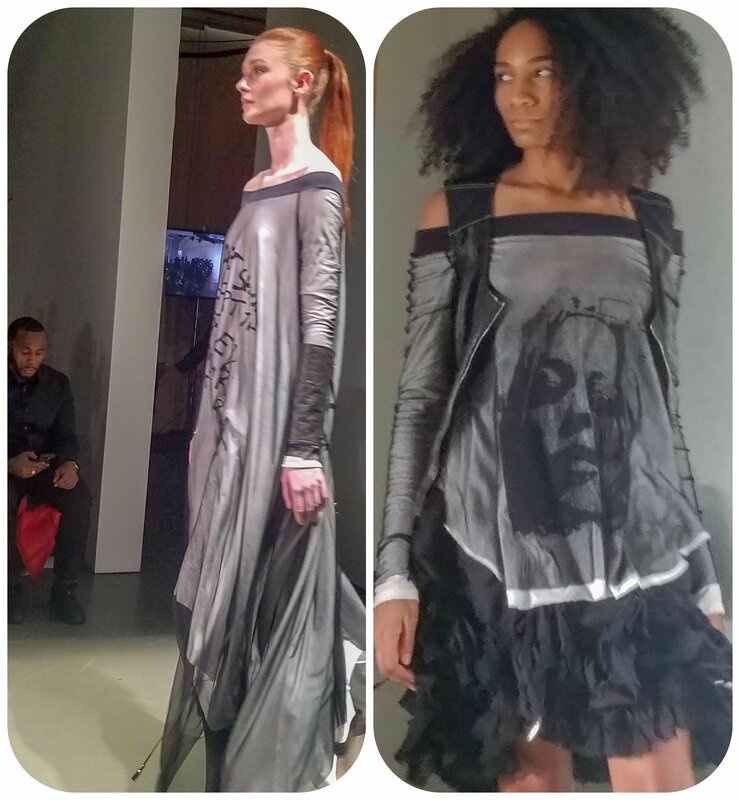 Michelle Elizabeth showcased acid wash patterns on breezy fabrics and so much more.. 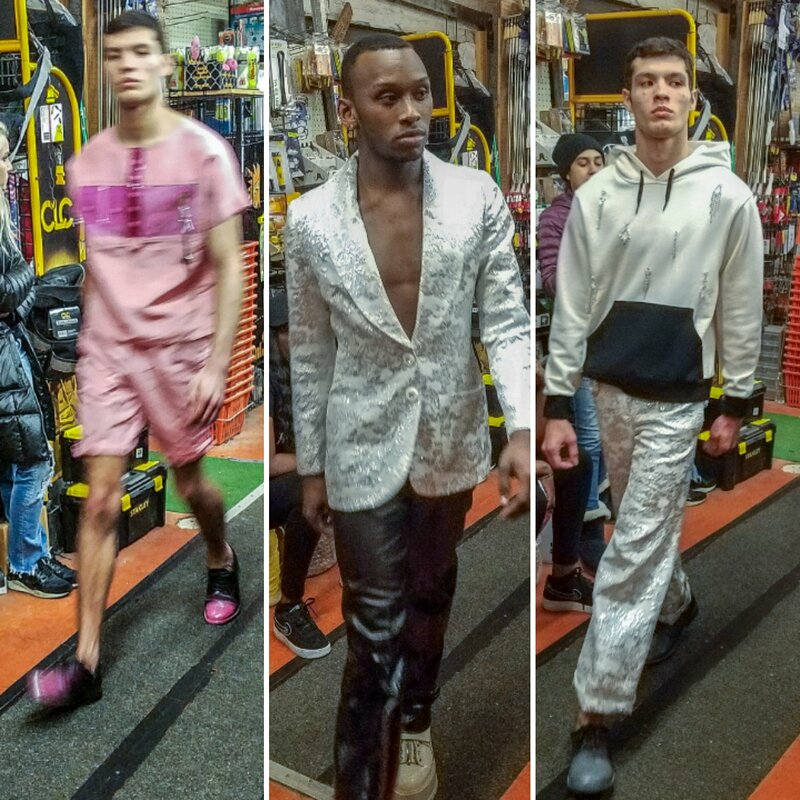 When Canada choose to scout 7 up and coming designers, and invite them to showcase at Pier59, we did not know what to expect nor that most of the designers would be female. The interesting part of this collection lies in its seemingly simplicity but if you look closer there is alot of pattern work despite only featuring 3 colors: Black, White and Grey. The acid wash on black causes the brown hue and the result is beautifully gothic. The jackets have a Military feel with double breasted buttons and piping accents suggesting the idea of mixing work with play. Then the tongue in cheek prints with the face of the designer becoming one with the clothes. 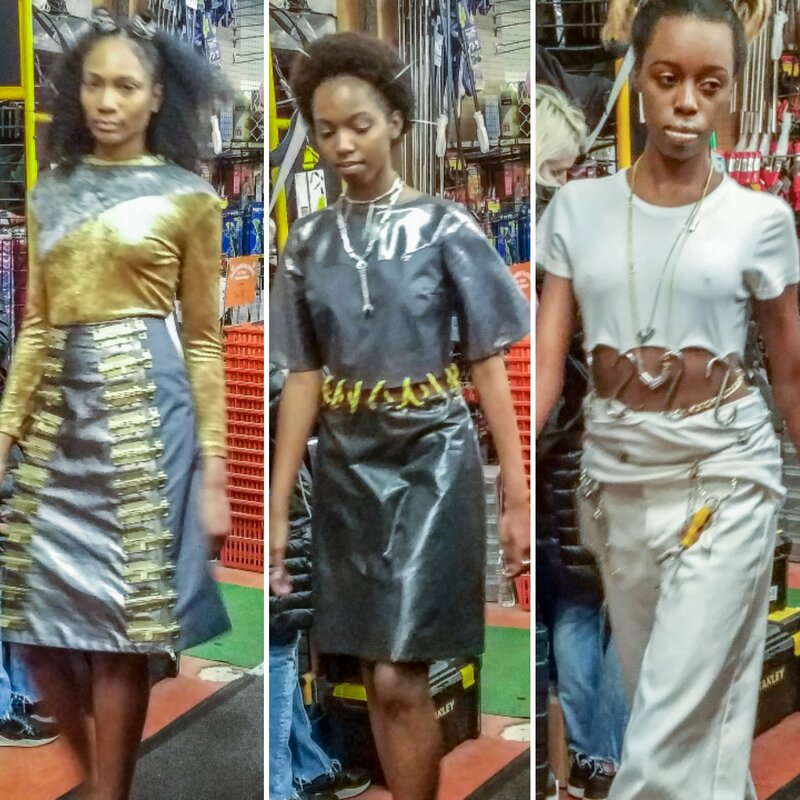 It is so designer sharing the fame of the clothes movement happening now. Although instead of a caricature, they is a chic simplicity as if she is still asleep and yet to reach her full potential. We hope to see more from this designer. As always check out our facebook page for more images, thefashiongoddessblog and our Instagram, @tfgnyc. We will have the runway roll on IGTV and Youtube later today. Canada evades NYFW with this 6 part series. 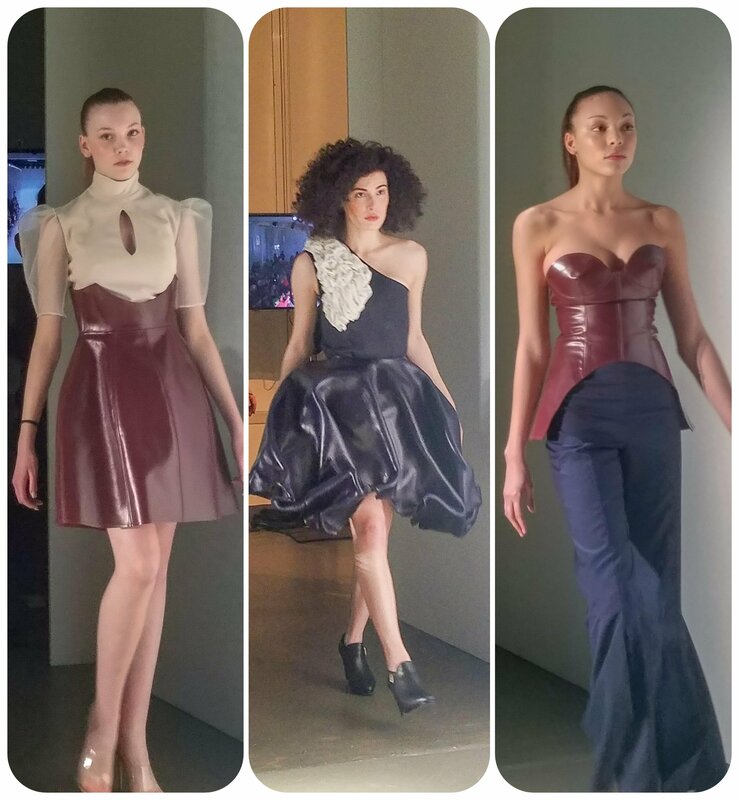 Today, we feature structured leather work from Kristen Ley. NAISSANCE’, representing the birth, or ‘rebirth,’ of her label as an official Parisian fashion house gave life to classical French couture techniques while maintaining modern, avant-garde silhouettes. 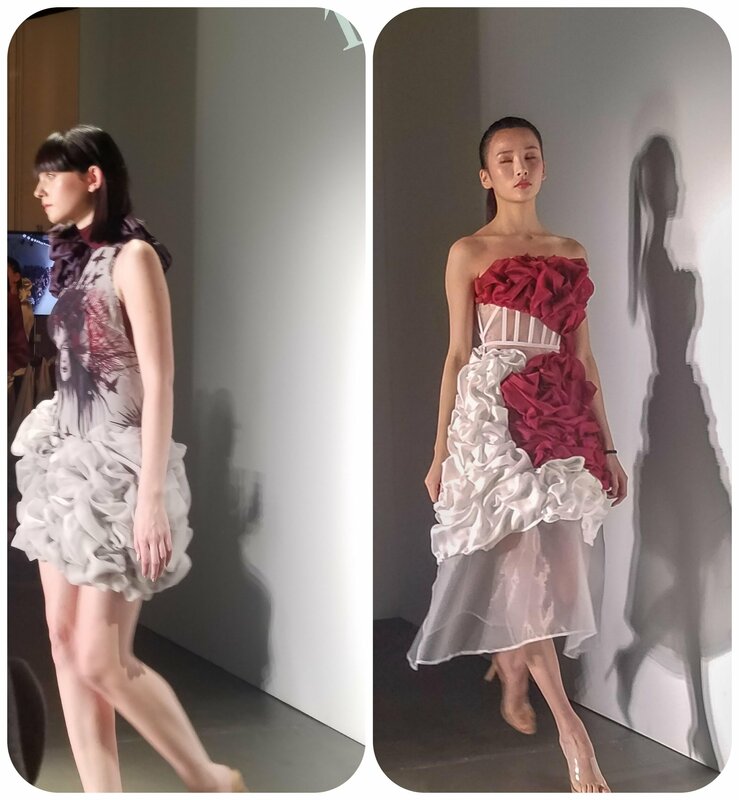 I do not know if Kristen Ley Studios is certified couture as the qoute above suggests but we do know that all the fabric manipulation was done by hand. She had a way of crumpling leather as if it was paper and giving texture to tulle as concrete. 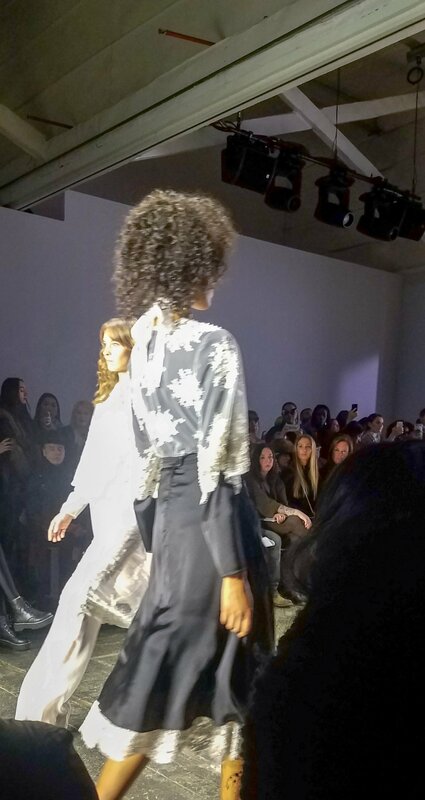 This trick of texturing fabric to change its perspective made this show the most memorable of fashion week. 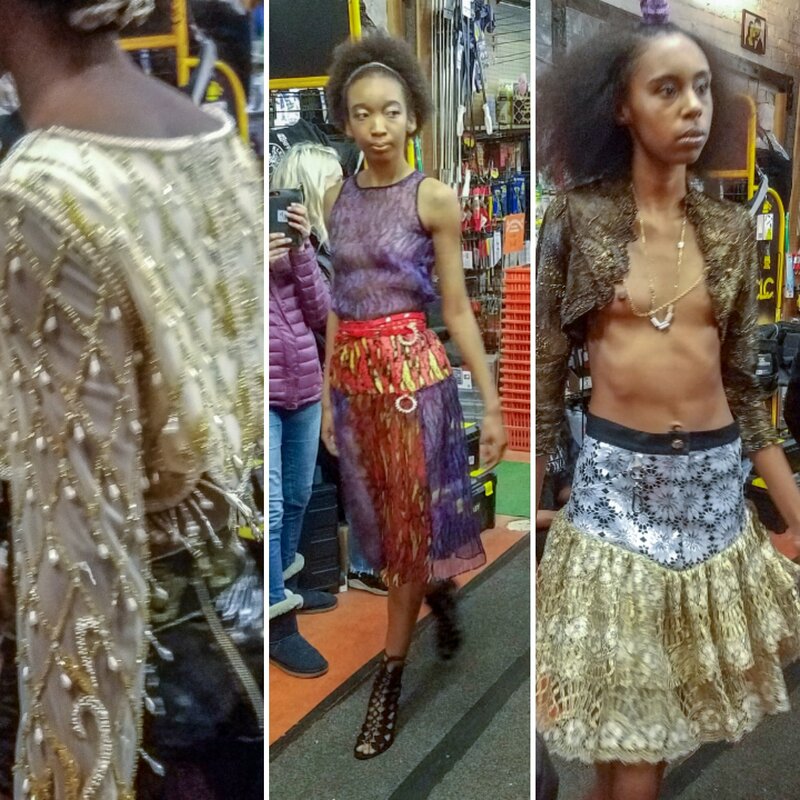 The collection also featured a combination of delicate fabrics and harsh silhouettes as if to juxtaposition between a woman perspective and how others see her. The line is just 2 years old but the concept is so unique, it is no surprise that we have been hearing this name everywhere. We did want to see more but she has yet to add any collections to her website. 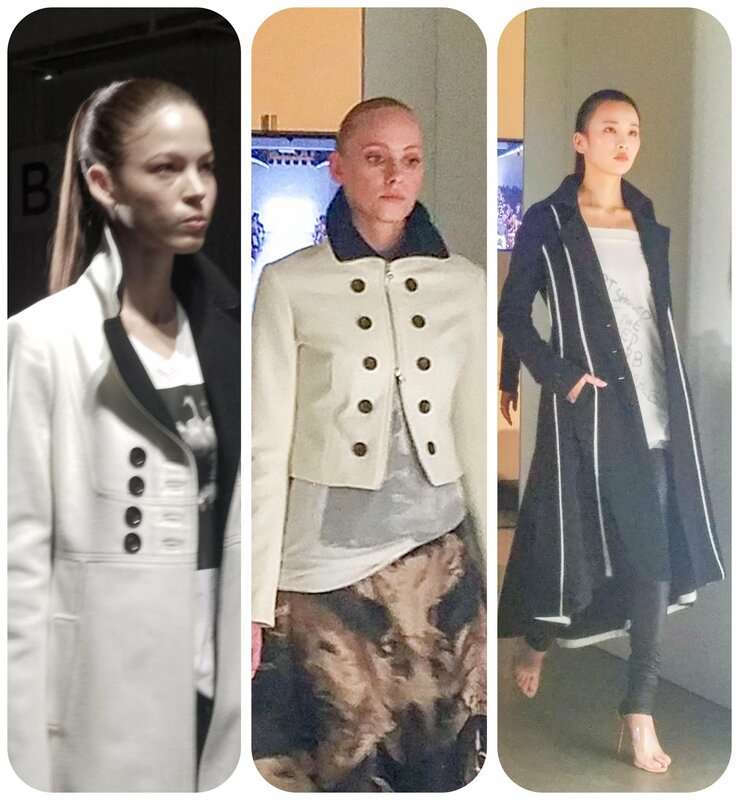 Check out the runway on our instagram (Tfgnyc) and youtube. All images will be posted on facebook. 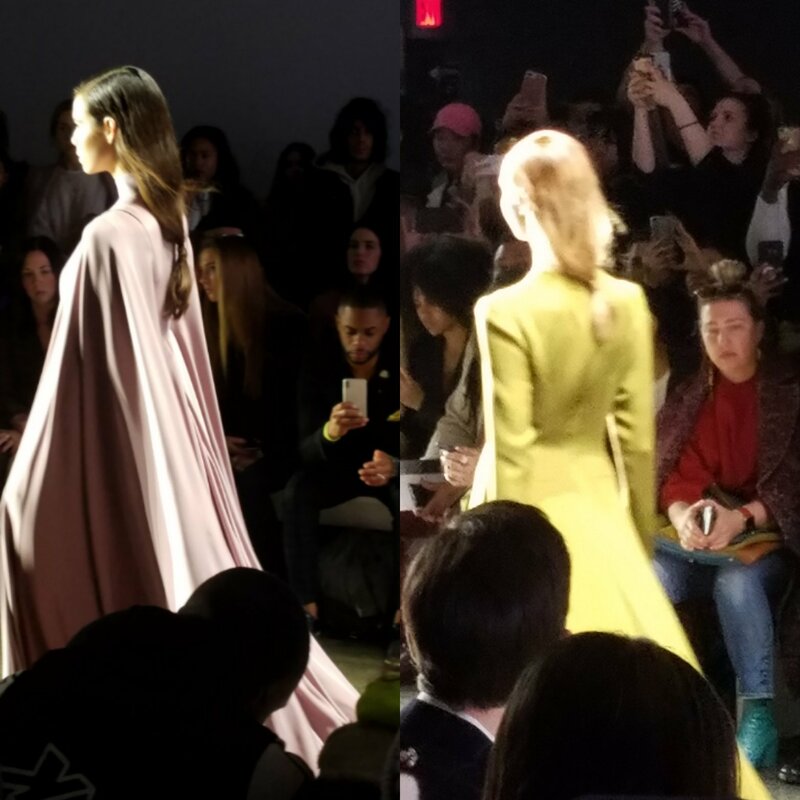 Canada plants its flag at NYFW showing 6 homegrown designers. 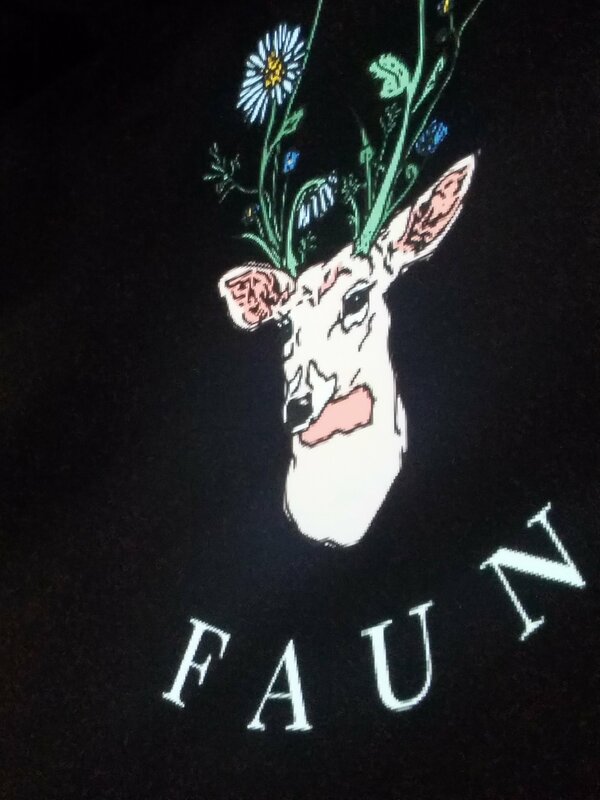 Today we cover Faun’s primary colors and neutral sportswear looks. 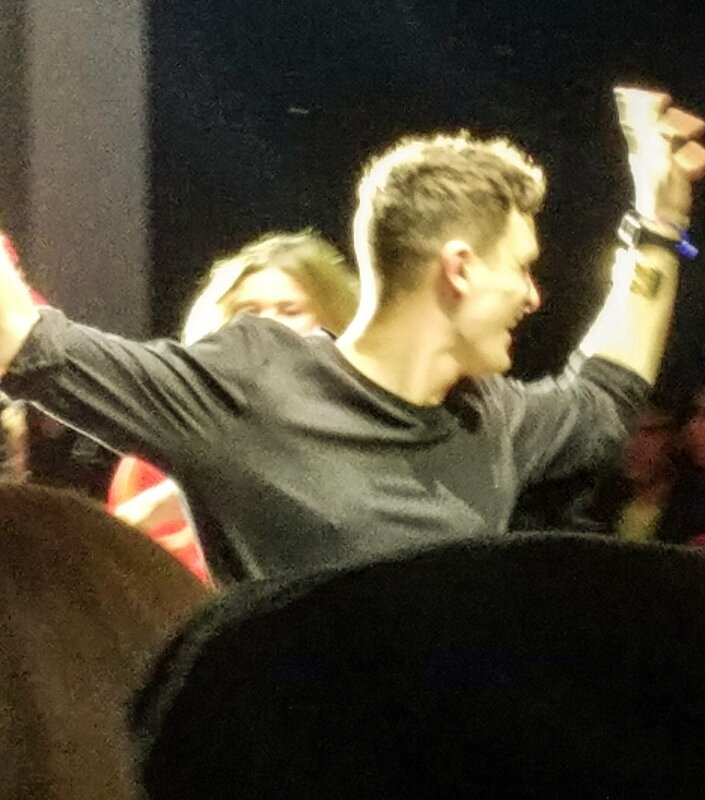 The biggest issue of a group show is how little you actually get to show. 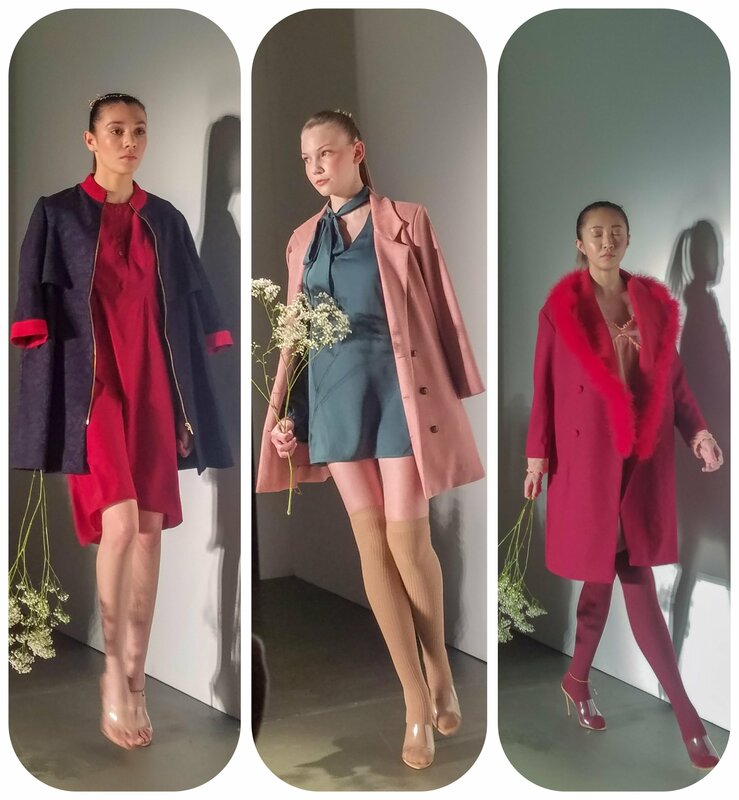 Faun’s looks seem to focus on 3 things: patchwork, A tongue on cheek winter meets spring and outerwear. 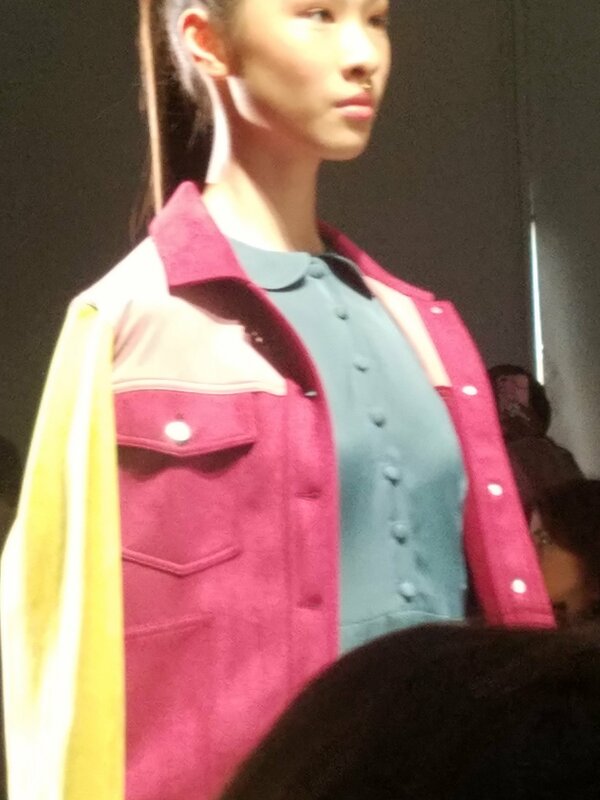 The yellow and red jacket is the only patchwork item in the collection and seemed out of place. It would of been great if some digital lookbook of the full collections were available. Alas we will never know if this was a technique she used throughout the collection. Needless to say, we want more. We do not know if the designer was showing 2 seasons at once or if she was adding light fabrics to a heavy fall wardrobe. We hope its the latter. We love light fabrics usually reserved for warmer months popping up in fall. The styling of the sheer top over the sweater seems to suggest that Faun’s light fabric in fall was no accident. Outerwear is an important part of every fall collection and here we were not happy. We do see some patchwork effects but mostly seems lost to the light fabric motifs which to me was the best in the show. To see all eight looks, check out our facebook page. We would love to hear thoughts about the collection! DM us on Instagram and you may post your comnents on our feed! It’s all about the sleeves at Mclaughlin’s fall collections with a witty nod to Norwegian Folklore. 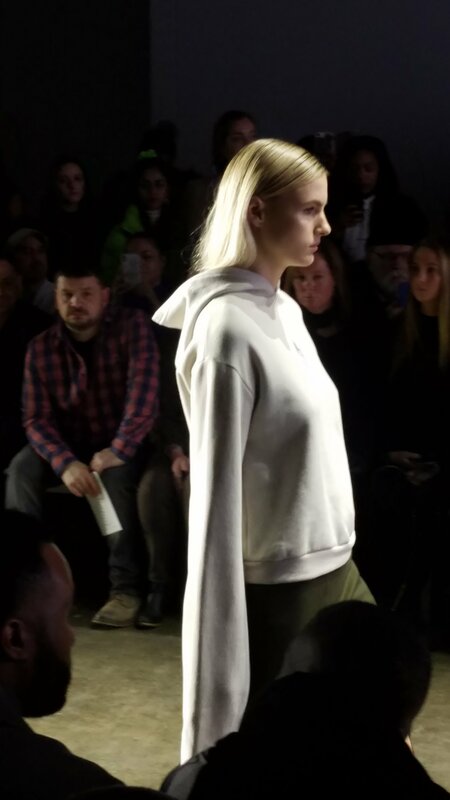 The sleeves went on forever in a collection that seemed like over styled sportswear. Of course, there were some good moments on outwear which followed from the shoulders in one stunning capelet and from the waist. The colors were supposely taken from nature so we weren’t surprised about the green hues but the orange which no one thinks is a natural color was one. 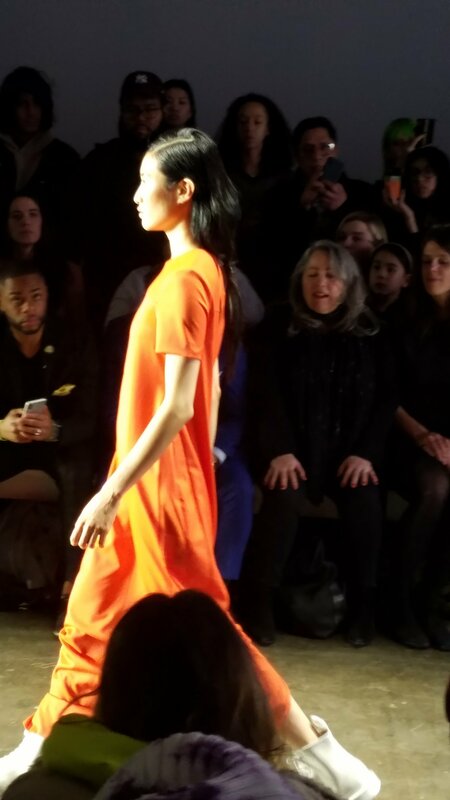 All in all the show was overstyled sportswear with muted nature themed colors with orange thrown in. 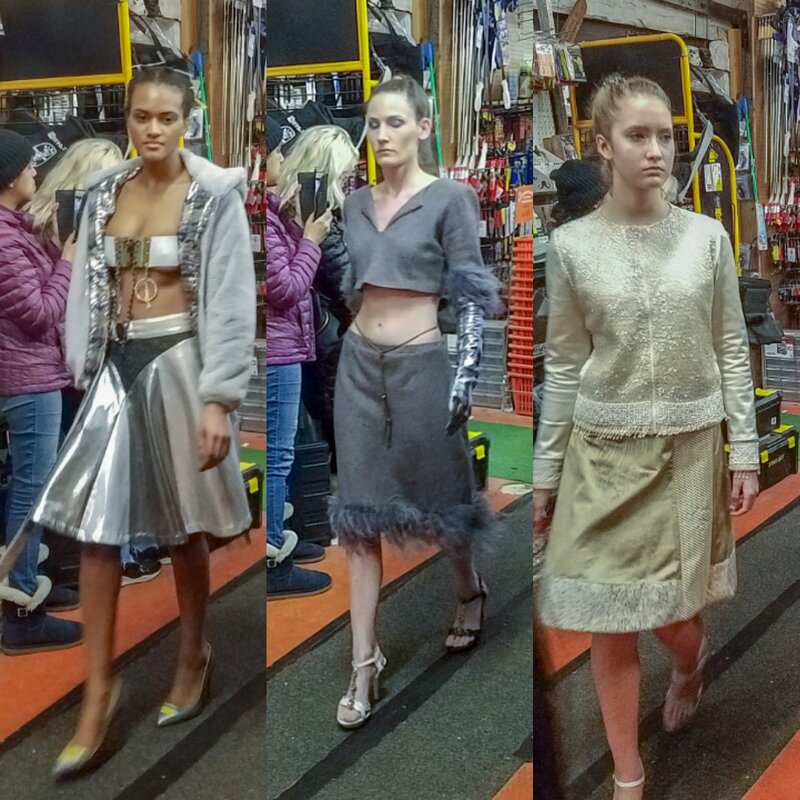 The outerwear made the show INTERESTING. See all images from the show on our Facebook page and the runway roll on IGTV and our youtube channel. People are questioning fashion week’s relevance but when I see a show from a designer like this one, the reason its clear. It’s the platform from emerging to up & coming. 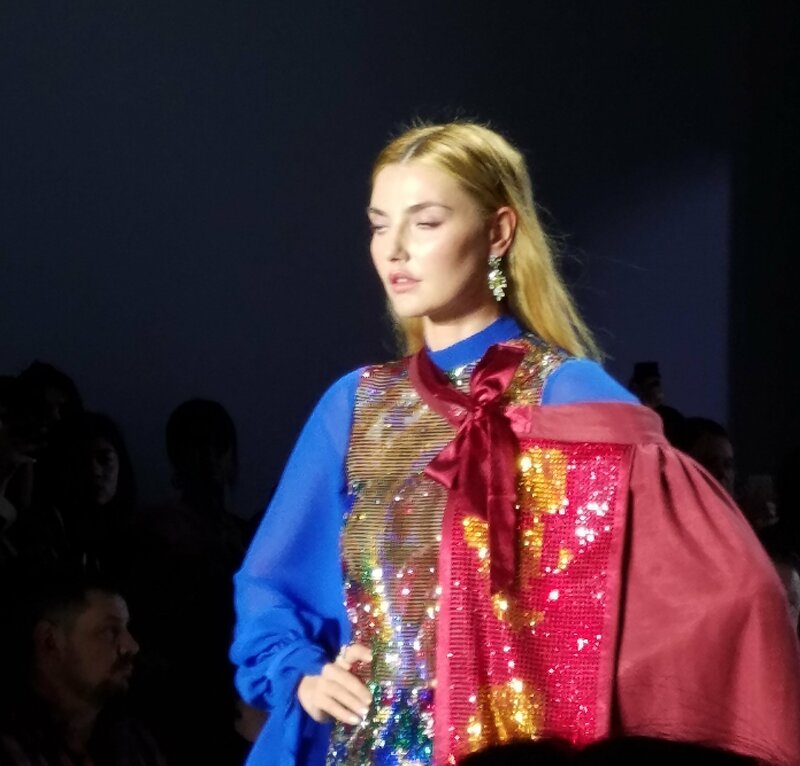 Sparkles and lace adorned the garments of Jiri Kalfar which is the say the combination seemed spiritual with a luxury feel like a nebula in outerspace, airy and starry. I can imagine the night sky as the inspiration of this collection. What seemed like textile gimmicks of the fashion trade (lace, tulle, sparkly beads) were given a new purpose. 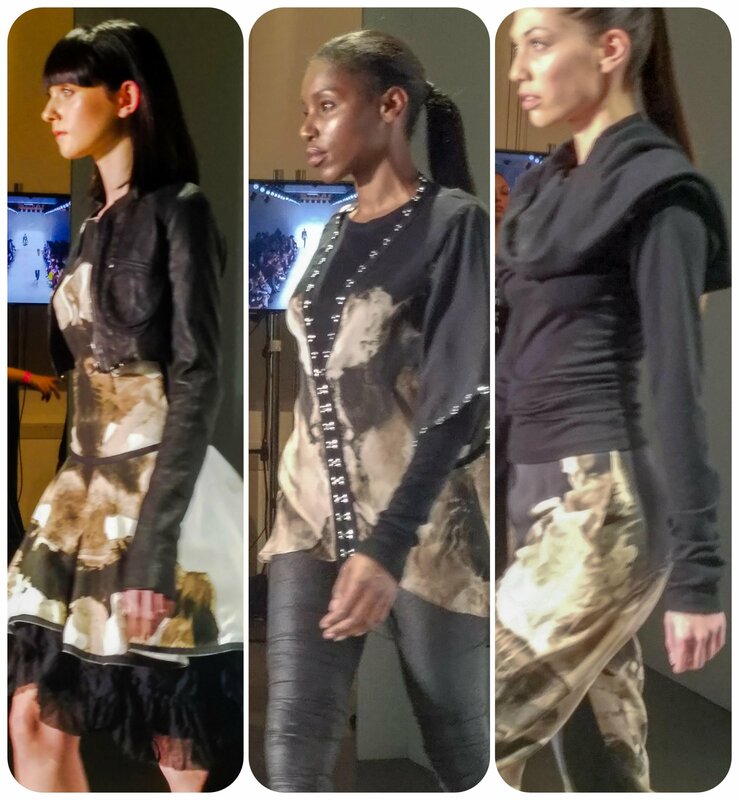 Lace was lovely layered over darker and heavier textiles which increased its visibility. 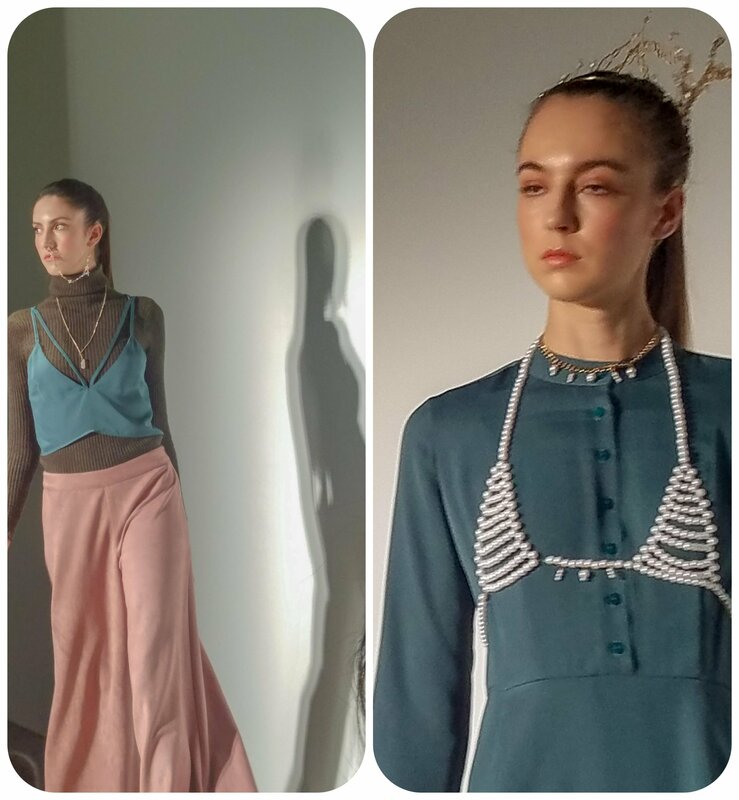 Heavily beaded fabrics were paired with lighter fabrics so not to appear weighty or overpowering. Reds and oranges walked beside black and white as if night was over as dawn approached. All in all of the three shows I saw, this one had the most wearable looks even though not the most original which still goes to Kamal. 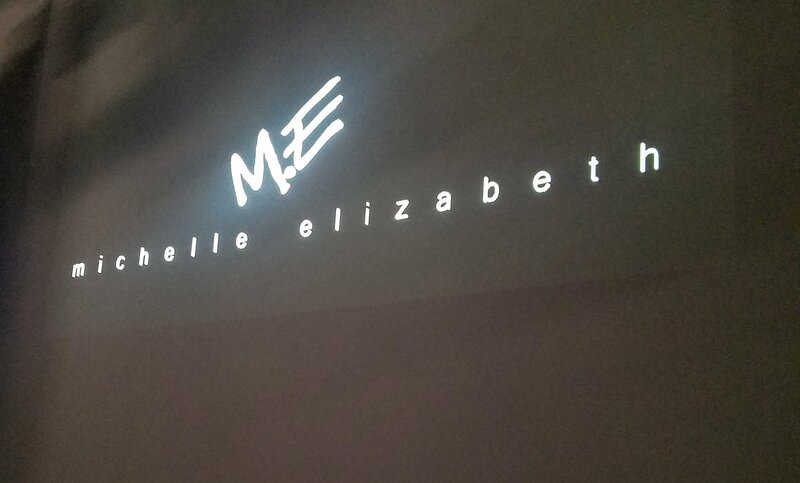 Go to our instagram page to see more images of the show and our instachannel to see the runway roll. 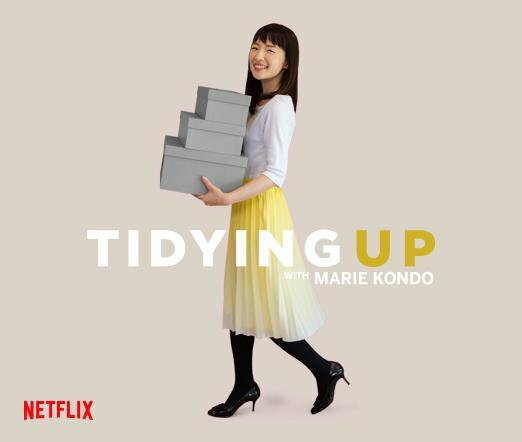 It’s not quite Spring yet but everyone has caught the decluttering spirit of Kando. 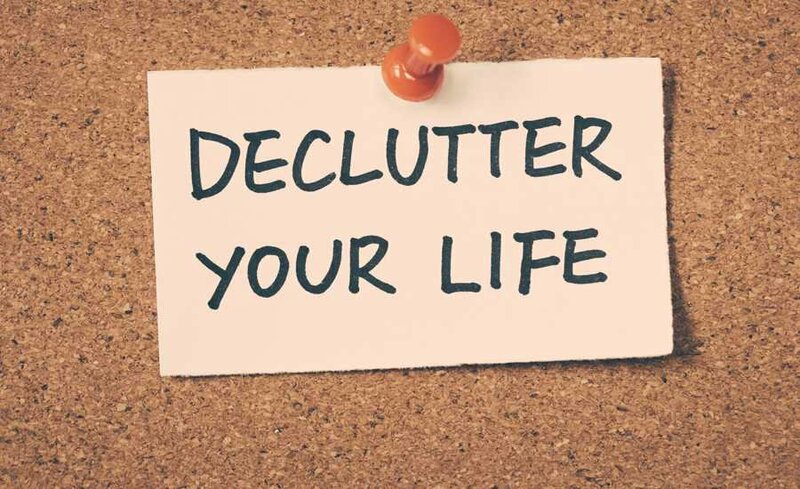 So today we invite you to edit your wardrobe some easy steps and you may find something else..personal sty le. In my defense, I don’t have much clothes but I do have alot of impulse buys, work clothes (no such thing) or a trend I just had to try but wasn’t adventurous enough to actually wear it. Sound familiar? These pieces take up alot of space, and with so many chances to get what like this season, we are offering 5 steps in figuring out what to keep and what to sell or donate. Kando says to keep what speaks to you but if your a fashionista in New York or another fashion oriented place, you have statement pieces and one offs that you don’t want to part. 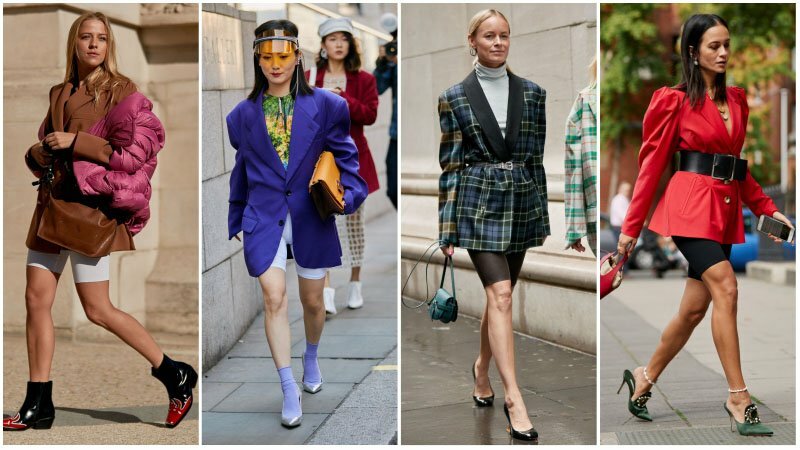 If you have multiple styles of the same coat, skirt or pant, then it’s either your signature or comfort zone, these items go in the keep pile. One off trends you wanted to try and never did can be sold on apps like Poshmark (labels only) or Depop (unusual). Use Ebay for really high end pieces. To give torn or unwearable clothes a new life, Zara and H&M have boxes in store. The recycle your clothes for you. We often forget that we must also edit our Lingerie and Socks as well especially because they get the most wear. First get measured at Victoria Secret to make sure your wearing the right size, for years I knew the size had changed but was unaware how much…I went up a whole size from B to C without giving birth. The lingerie that fits and doesn’t have wholes as well as the bras that retained the underwire or are fine without it. Bras and other unmentionables aren’t sellable nor will Goodwill take them. 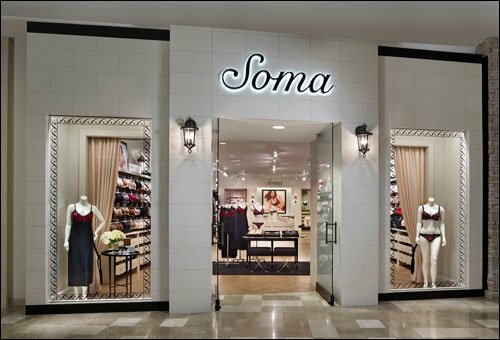 Soma is taking gently worn (no wholes, underwire bents or sticking out) till February 8th. Online places like Bras for a cause and Bra Recyclers can take gently use (BFC) or destroyed ones (BR) off your hands. For underwear and socks, recycle them at https://www.terracycle.com/en-US/zero_waste_boxes/fabrics-and-clothing which will send a box. 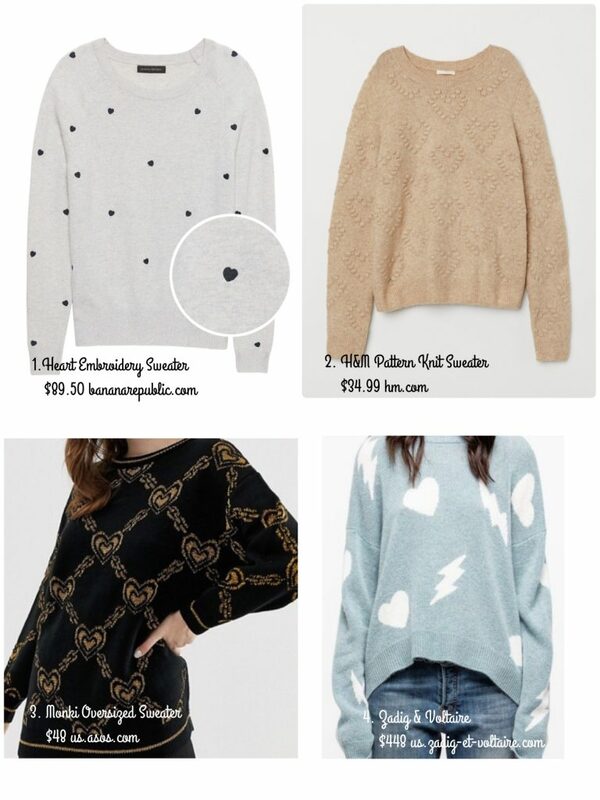 In honor of the day meant for lovers and loved ones as well we decided to have some fun and find lovely heart themed pieces you can wear all year around; because who wants to wear hearts just one day and then throw it in the back of your closet? Hearts are a nice playful shape and done in the right pattern they can add a little whimsy and fun to any look! So we have scoured the internet to bring you our faves..please don’t hesitate to comment your thoughts! The suit gets a do over for both sexes this summer and we are loving it. Shorts with blazers are the newest trend to hit both sexes at the time with minimal differences. While women are wearing bike shorts, men have decided on burmudas (on sale now at Zara). 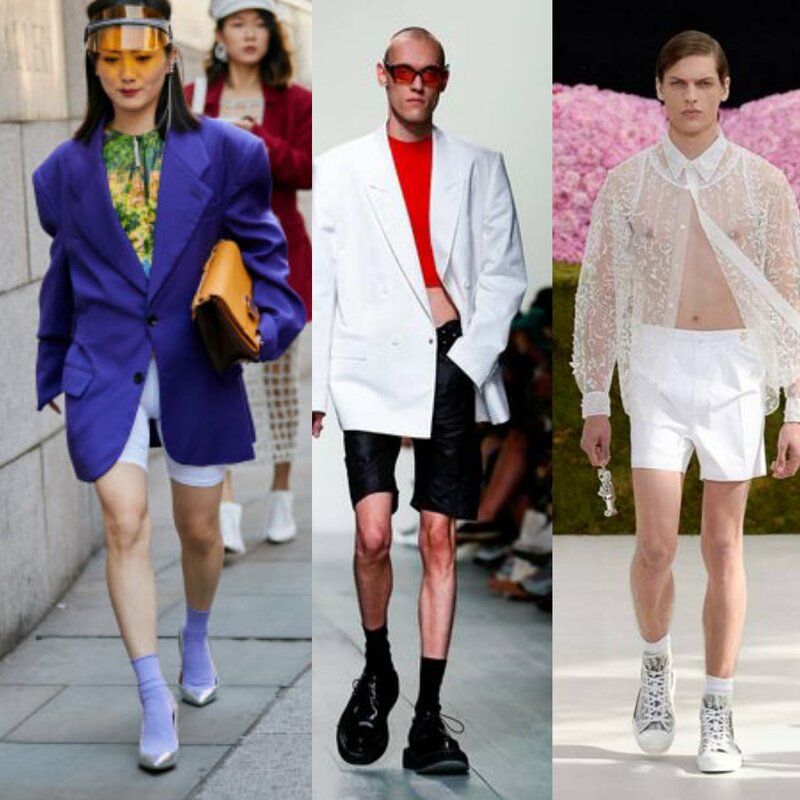 In any case, the length is key to the look where shorts have to be just above the knee with longer blazers and mid thigh with shorter ones. So keep in mind the ratio. Keep the shorts patternless and play with bold colors. The look is suppose to be grownup but fun at the same time. Also, this is streetwear, you cannot wear shorts to work. Although, with the summer heat to come, we all wish we could.